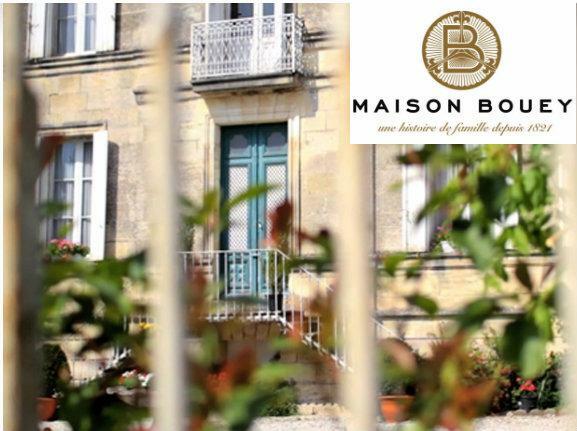 Love of Bouey Family for the land and his passion for the wine are expressed by the acquisition of vineyards, châteaux and estates renowned for their excellence, such as the Château Maison Blanche. Built in 1832, Château Maison Blanche received the first official distinction of "Cru Bourgeois" in 1932. Handed down from generation to generation via the female line before Patrick Bouey acquired it in 1998, this wine mixes power of Médoc, nobility and elegance. "Could it be because the Château was previously handed down from generation to generation via the female line that Maison Blanche is synonymous to me with class and elegance? The wine is also powerful and relatively traditional, with a solid structure – the sort of style that would have pleased my grandfather!" Every vineyard plot is maintained individually and the wines from each one are fermented separately in order to fine tune the final blend. Green harvesting is practised, and the grapes are picked late in the season and carefully sorted. Fermentation is slow and gentle, and oak ageing is understated to complement the wines' intrinsic fruitiness rather than overpowering it. In conjunction with Stéphane Derenoncourt, the Bouey family can now avail themselves of expertise similar to that of the great growths. James Suckling 90"Aromas of plums and bitter chocolate follow through to a full body, with chewy tannins and a medium toasted oak aftertaste. Lots of wood now but shows excellent structure." Wine Spectator 91"Vibrant, with nicely packed raspberry, fig and blackberry fruit carried by mouthwatering acidity and well-embedded structure. Lots of anise, spice and tar frames the finish. Best from 2012 through 2019."